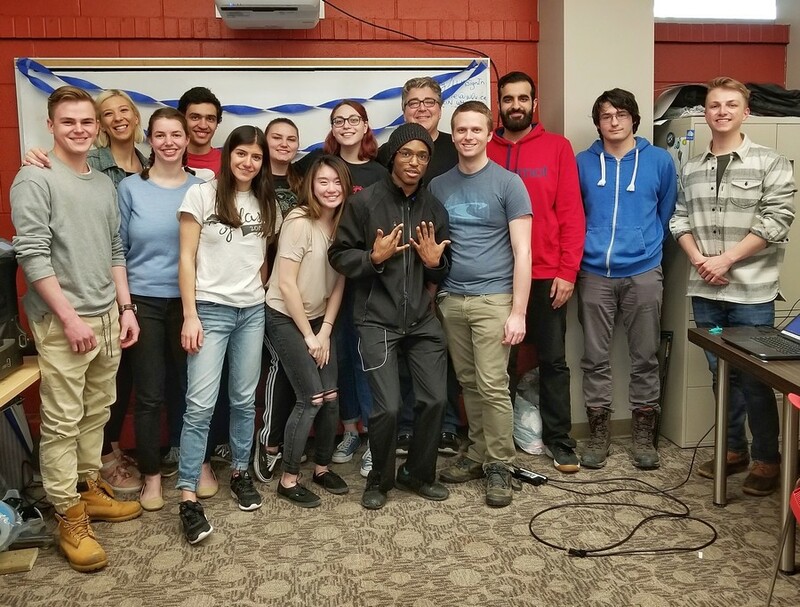 I’m trying to save the world by working with a bunch of creative, resourceful, hard-working students at Wilfrid Laurier University. 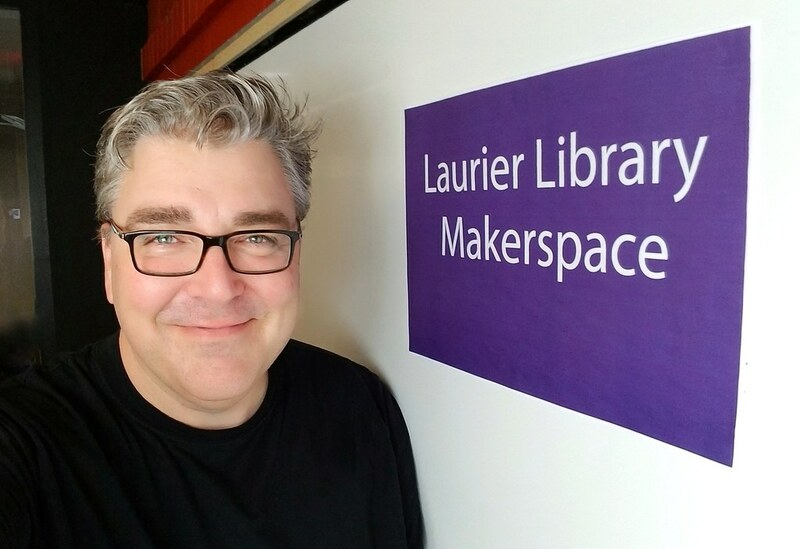 We invented the Laurier Library Makerspace here in Waterloo, Ontario. We teach everything from sewing to circuit board design to 3D printing and we just wrapped up a very successful third academic semester. This is an introduction to a series of posts describing the journey ranging from the practical elements to the strategic vision. I’ll be graduating from this effort at the end of the summer and I’m seeking new opportunities to help organizations drive experiential learning. Simply, a place to make stuff with your hands. A deeper look reveals less focus on a physical space and more of a common ethos of creating and supporting others creating. Learn/make/teach. I’ve gently guided Do-It-Yourself (DIY) toward Do-It-With-Others (DIWO). 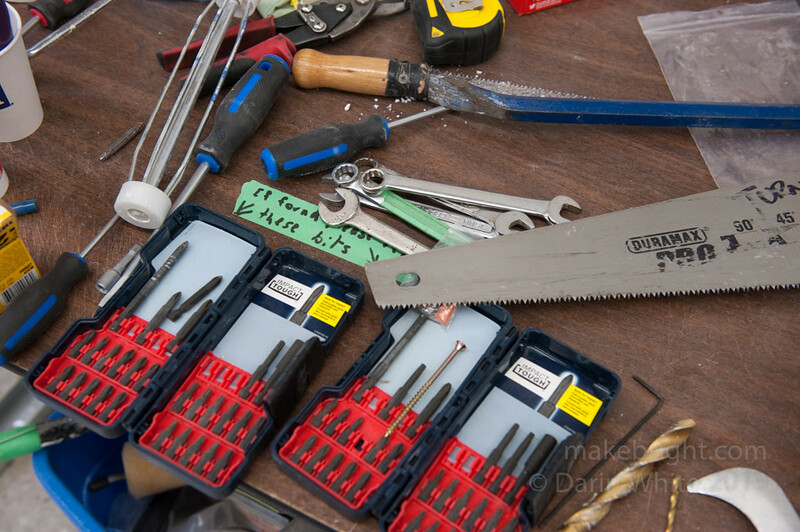 Beyond pure skill development, the makerspace offers a common ground to shape the community in which we want to live. I have been afforded a wide latitude to invent this makerspace with our students by University Librarian Gohar Ashoughian. It was her vision of the library as the cultural commons on campus that brought me to Laurier. 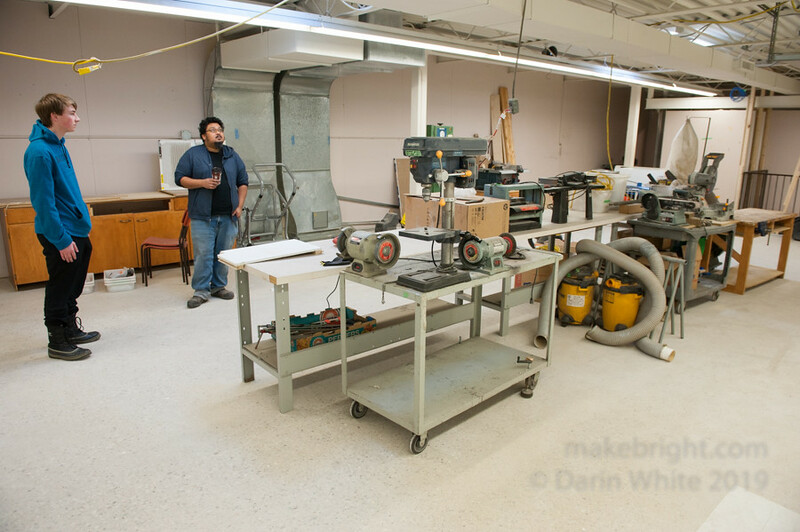 I developed the strategy and plan to bring the makerspace to life. 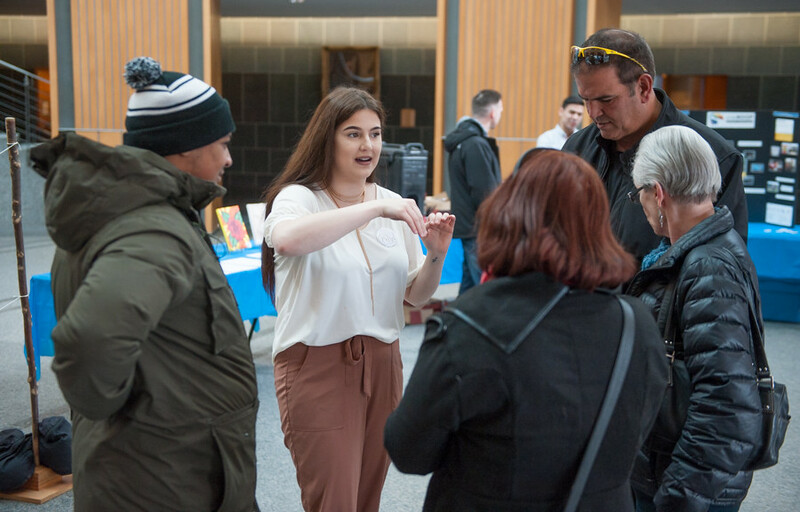 We’ve delivered more than 180 workshops, connecting with hundreds of students, staff, faculty and community members. We have taught everything from sewing, soldering, photography, 3D design and printing, electronics, coding, die-cutting, printed circuit board design, block cut printing, knitting and more. More importantly, we’ve encouraged and supported our learners to take ownership in building this makerspace. I’ve piloted makerspace integration with three Laurier courses and have a growing list of faculty who are keen to integrate our hands-on components into their programs. Our impact extends beyond campus. 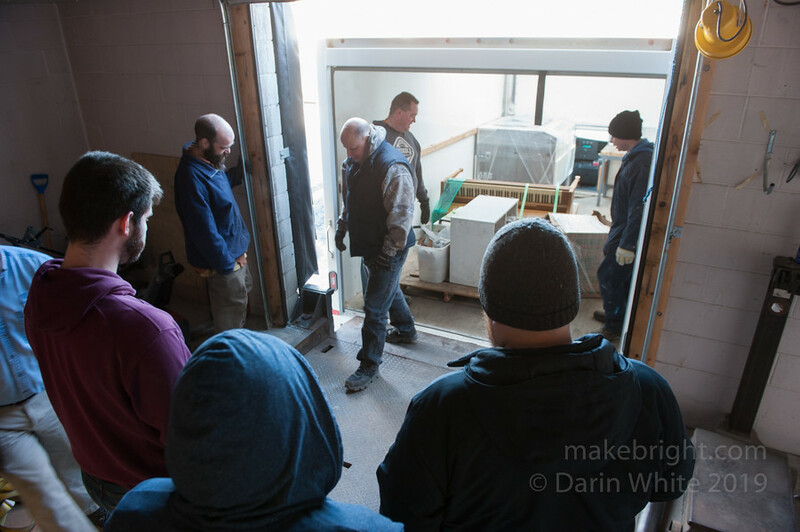 We have taught skill-building workshops in the broader Waterloo Region community. Popped by kwartzlab v3 on Sunday morning to see what’s cooking with the new space. It’s been 6 weeks since my last visit and there has been a tonne of progress on all fronts from moving to mudding. 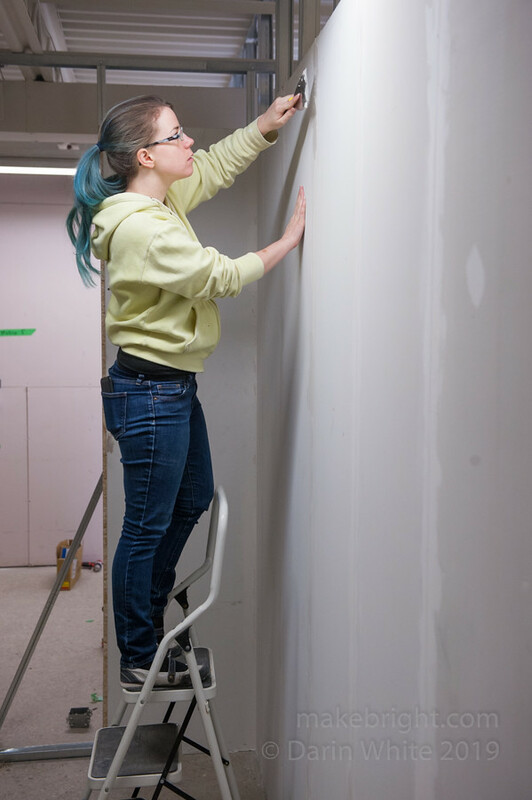 Melissa Pynkoski, kwartzlab Treasurer, was mudding drywall seams on the new 10×10 individual studio spaces. Got an unreasonable number of photos here for you, surveying the mid-move efforts. This just gets more exciting with every visit. 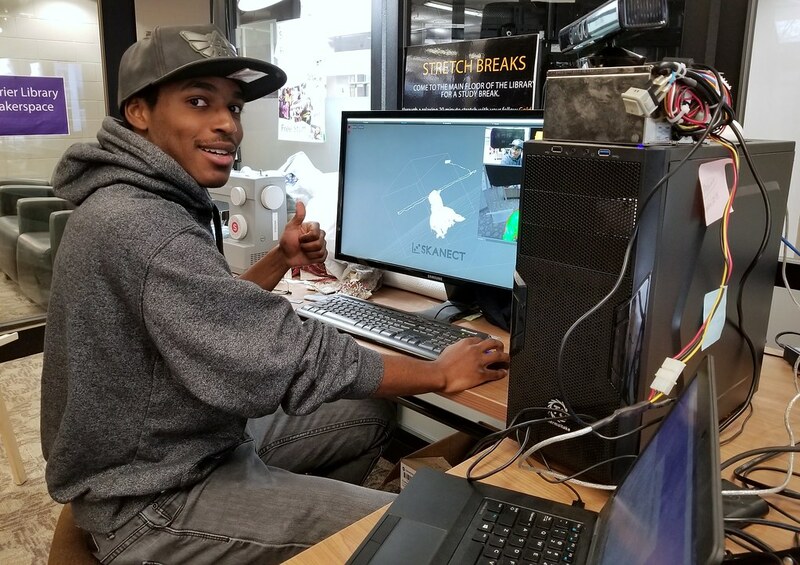 Connect with kwartzlab! Jim Fare and Neil Eaton, heavy lifting on the second floor. Lots of muscle on the loading dock. Davenport, Mike, Cam and Drew. 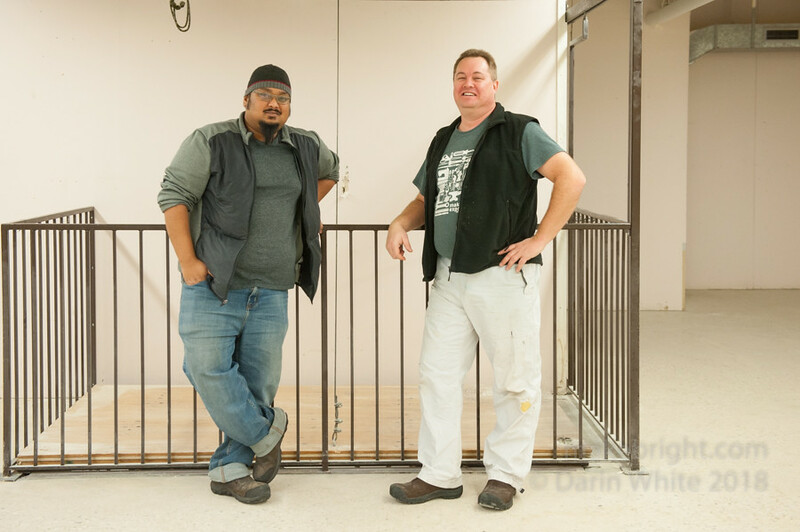 Calder and kwartzlab President Ravi Baboolal surveying the giant woodshop area. 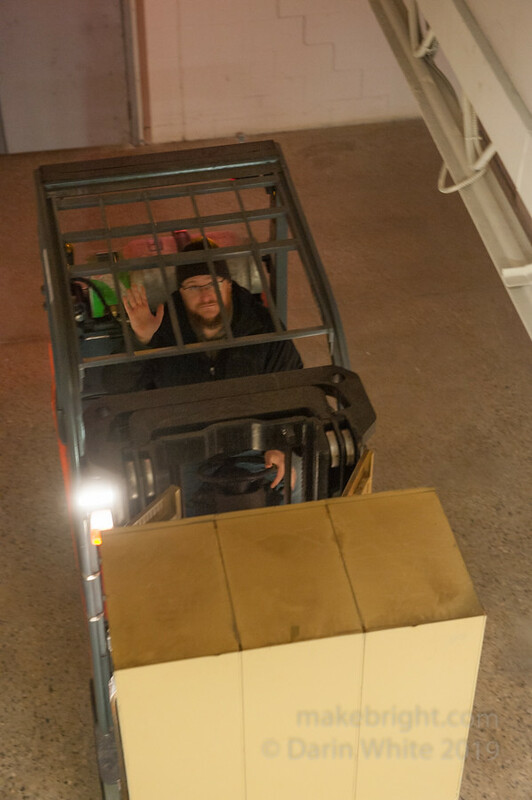 Nerves of steel, fractional inches to spare piloting the forklift. 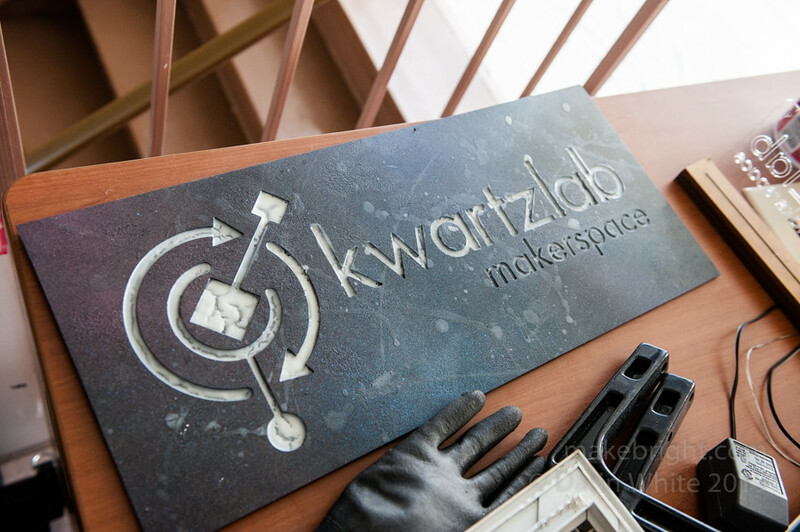 After a good number of years at the corner of Charles and Kent, Waterloo Region’s original makerspace, kwartzlab, is on the move to new digs just around the corner at 145 Bedford. 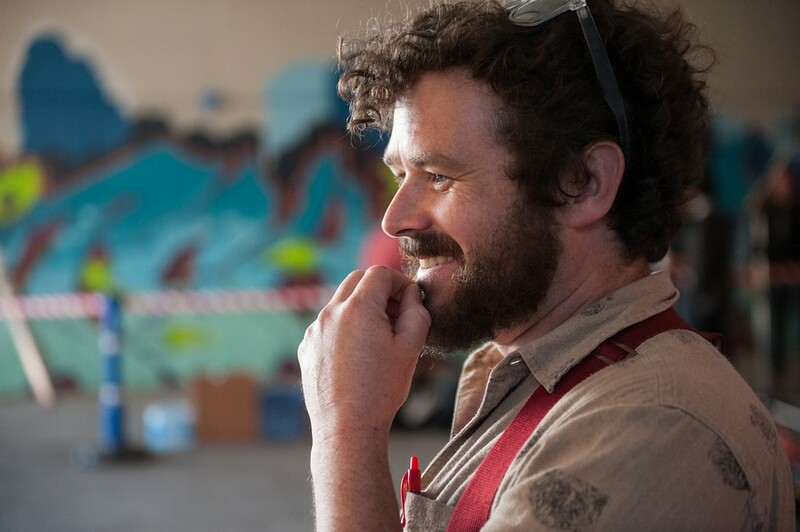 Hard working meta-maker and move organizer, Cam Turner (right) invited me for a look at the new space last week. Happily, my good friend and kwartzlab President, Ravi Baboolal was there, too. While I’ve only got two people in frame for this photo, there are many more kwartzlabbers who have worked hard to get here, including the three women and three other men on the board of directors. A big team effort. The TL;DR: kwartzlab is a fantastic bunch of people who support hands-on making in the community. They’ve been doing this since 2009, so in makerspace-years they must be something like 63. The group is massively expanding their space in response to member requests for personal studio space and from experience running concurrent activities with different crowds. Moving only four blocks, they’re still in the heart of Kitchener, steps away from a GRT Express Bus stop and a 10 minute walk from the ION stop at Charles and Borden. They just launched a refresh of their web site that describes how to join and what they’re all about. Be sure to follow along on this next leg of their evolution on Twitter, Facebook and Instagram. The group is in serious move-mode now, packing up tools for the move, so be sure to hit one of their Tuesday Open Nights 7-10pm in the new year and don’t miss the big opening (tbd). Big congratulations, my friends. 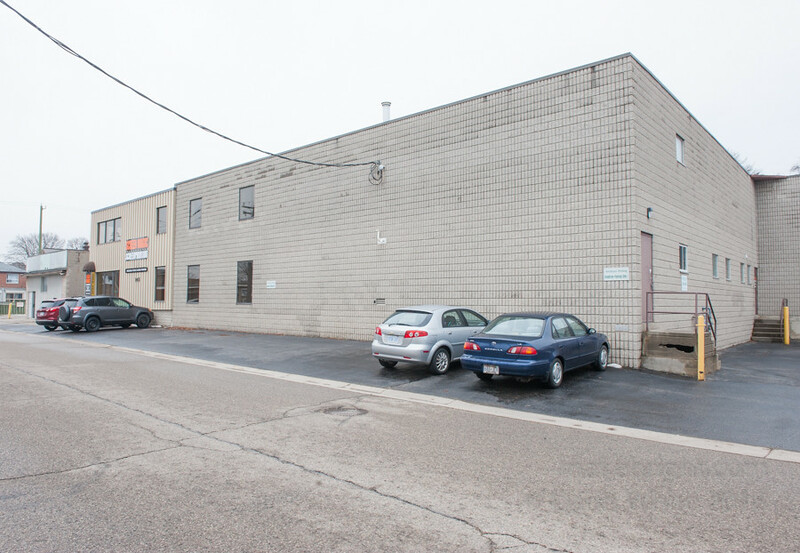 The left end of the building here is almost Ottawa Street, near Courtland. 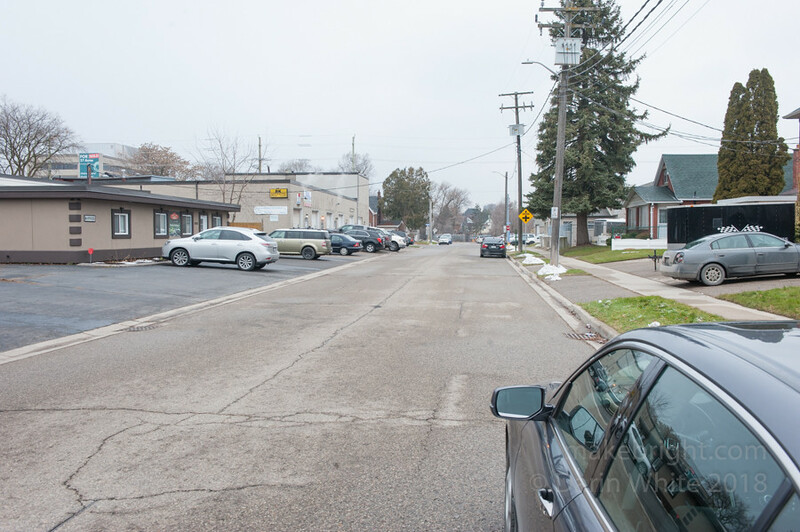 A week ago, my brother and I jumped on a bus in Hamilton to take a tour of Brantford artist Dave Hind’s work and studio. The experience positively blew my hair back. 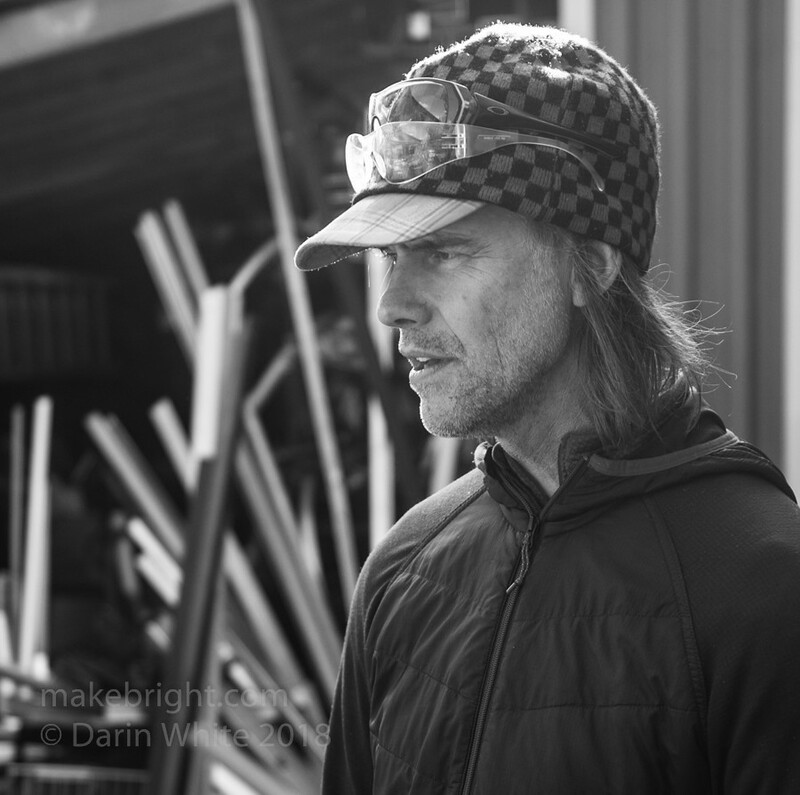 Dave is one of my absolute favourite artists, melding aesthetic, story, community, collaboration and makerly fabrication in his projects expressed through layered, riveted and abraded aluminum works. And he’s a helluva nice guy. 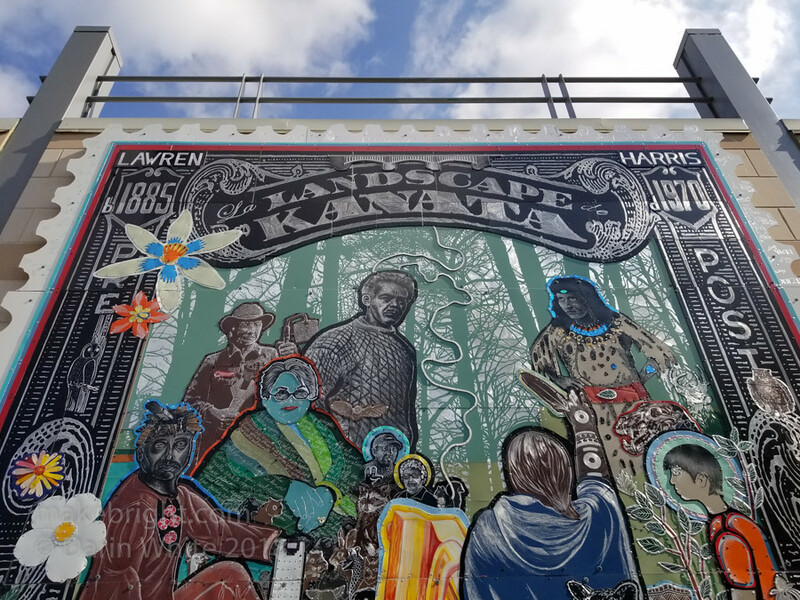 The results are eye-popping, richly rendered narratives like this 2017 piece, “La Landscape de Kanata”, completed as a collaborative public commission involving other artists and contributors, celebrating Brantford-born Group of Seven artist Lawren Harris, while being aware of this place and complete history. I’m thinking about three things for the whole community: accessible mental health care, food security and safe, affordable housing. I’m woefully under-informed in all of these domains, but I’m a pretty good listener. 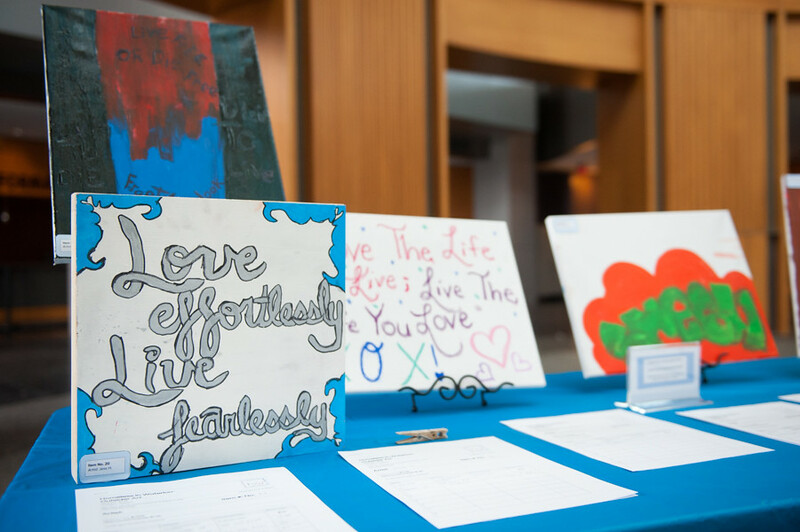 I hit the Outsider Art Show on Sunday afternoon at Kitchener City Hall to learn something and take in some art by artists who have experienced homelessness. Here’s Michaela Panchaud, Director of Homeless In Waterloo. Along with her crew, she hosted this show of art. The $4 cover went to oneROOF and any proceeds from the art auction go entirely back to the artist. HiW is not incorporated, but rather an around-the-kitchen-table type of organization: just my style. I saw their stories emerge last year on Facebook, engaging homeless people to tell a fragment of their story. 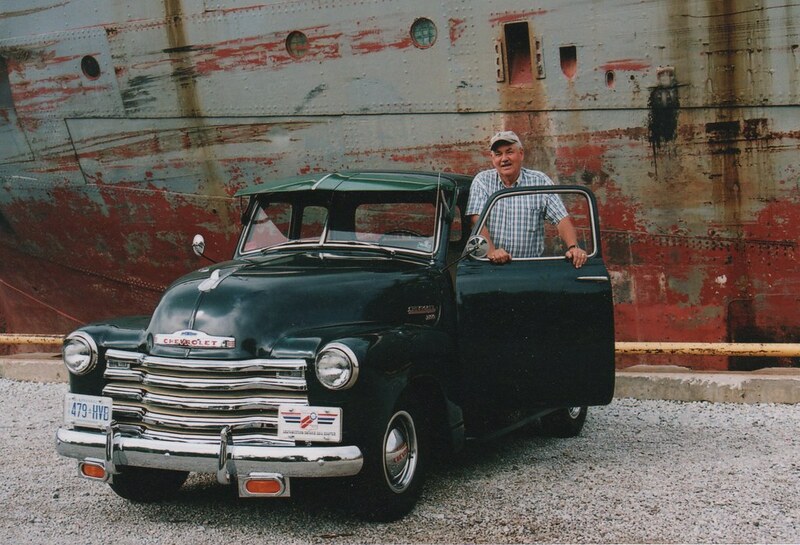 Those stories personalized their plight and made think more about the broader problem. It’s immaterial that this isn’t a novel approach. What matters is that they are *doing* it. “It’s just people helping people”, he said, and I rolled my teenage eyes. We had moved an altogether-too-big-for-the-truck horse-drawn sleigh to a friend’s flower shop in Sarnia to serve as a Christmas display. I was along for the job as muscle and shifted impatiently as the shop owner tried to pay my Pop for the assistance or at least send him home with an armload of flowers, which he refused. These impossible (or at least improbable) missions were his favourite, cheerfully done for thanks alone. On Sunday afternoon, I read the farewell for Downtown Kitchener cultural mashup event: Night\Shift. My friend, Eric Rumble, N\S founder and festival director, offered a familiar explanation, one with which I can sympathize. Sustaining community events on a volunteer basis is a metric tonne of work, that on a longer timeline is difficult to reconcile with day jobs, family commitments, personal projects and occasionally getting a day to just chill. 1. Big thanks to Eric and crew for 5(!) years of hard work and new experiences. 2. If you like the work: support the work. On-now/upcoming events/efforts: Irish Real Life Festival, Maker Expo, CAFKA18, Art$Pay, Summer Lights Festival and a whole lot more. Every jam I’ve ever worked on here in WR has needed: you to participate, you to promote, you to help organize and you to help fund. If you like the work: support the work. 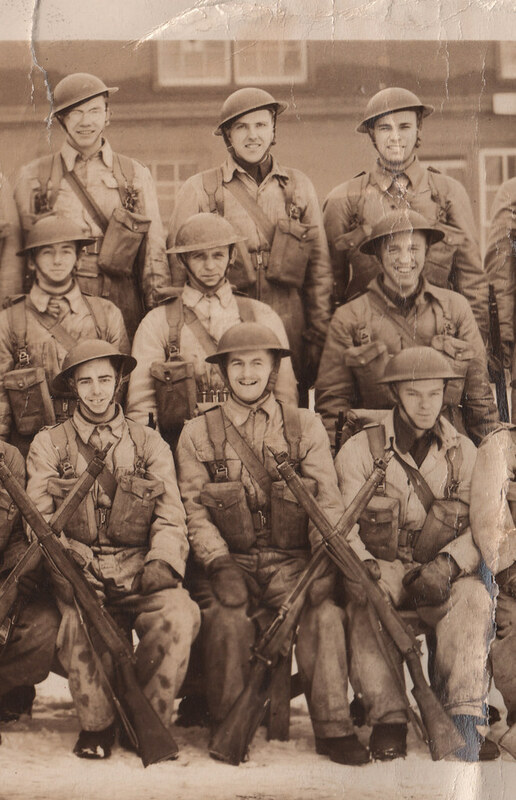 Back row, centre: George Foster, my grandfather. A pivotal figure in my life. 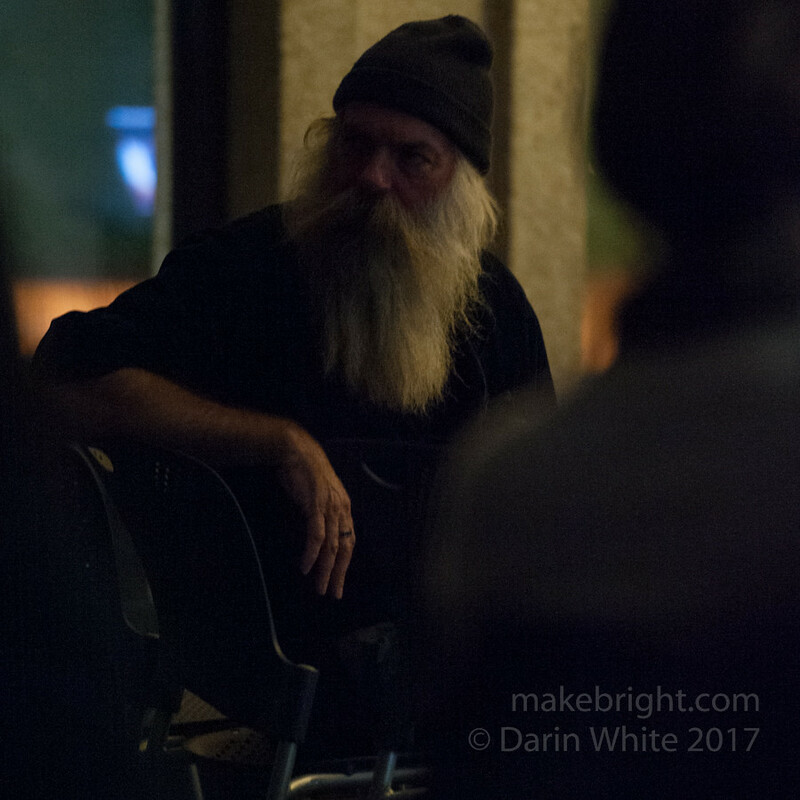 On Monday, I wandered through the cold, slick autumn night to hear artist Don Miller talk. The CAFKA Rewind series of talks at WPL, piquing your curiosity between biennials, brings back CAFKA alumni to talk about their work and in Don’s case that 2014 work caused a substantial hullabaloo in town. His quarter-acre-sized installation called Saturn and Cronus involved a takeover of two condemned houses bordering on Victoria Park and painting them (and everything) either black or white. 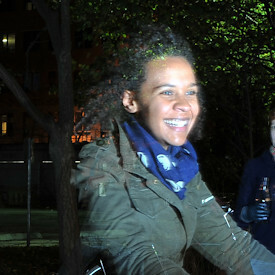 That piece really blew my hair back when I visited the site during its creation. And therein is the TL;DR: the best art changes us. I was a slightly different person walking away from that site than I was walking into it. 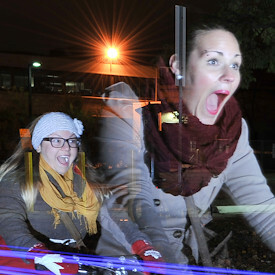 It was the biggest expression of art I had seen in Waterloo Region. Still is, I reckon. This big, audacious work, executed to the extreme of painting the grass, shrubs, trees, roof and discarded lawn furniture torqued my brain. “How is this possible?” I wondered as I stood between the black and white. I thought about artistic interpretations and obvious technical hurdles. I thought about the will required to see this endeavour through the small but vocal opposition and the municipal bureaucracy. And I thought about the collaboration required to figure this out. This stark illustration of the difference between an idea and a done thing. It is this search for the best art that gets my feet on the street, dropping my nets time and again to catch and release so much and then, with luck, to find the transformational stuff. For me, this is that. And so I was delighted that Don came back to town to talk about this piece, no longer under the gun of a deadline and with the benefit of time for reflecting. I’ve got a quasi-reasonable number of photos old and new on this if you read on, but first to Don: thanks and respect. 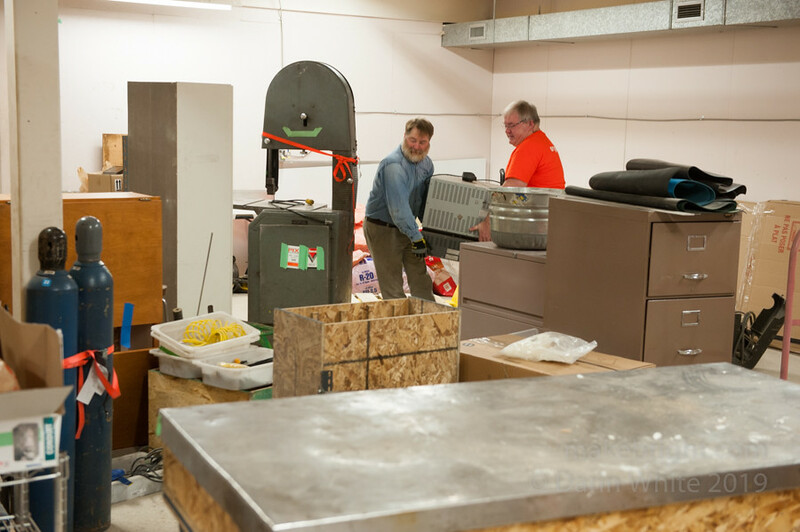 And to all the tireless workers within the CAFKA family: thank you for the hundreds of hours you put in to bring us big work to experience and for maintaining a course that takes us out of the ordinary. Here are an unreasonable number of photos from last year’s event to give you a flavour of what you’ll experience and encourage you to leave your sofa and go east this weekend. A leaping high five and thank you to my meta-making pals Jen, Ceda, Eric and their crew who organize the Festival. 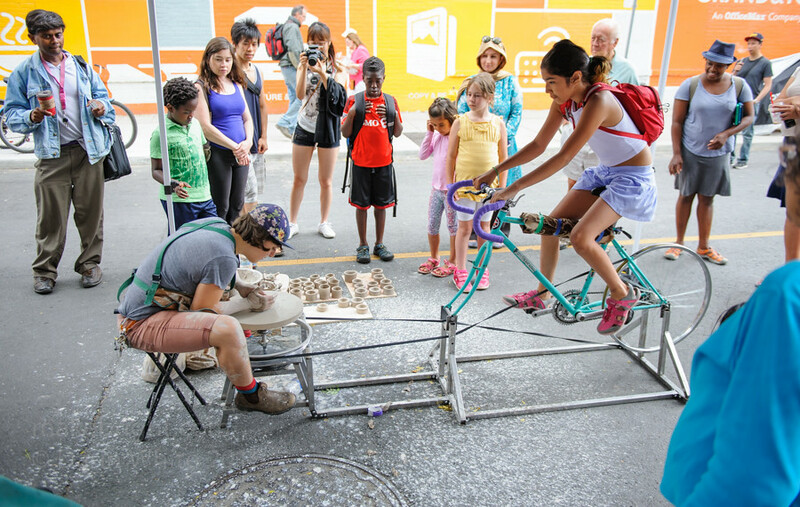 Above, one of my fave installations was this bike-powered pottery wheel. Many clay pots made and many muscles toned.